Our Property Guardian Solution is the Best Security for Your Vacant Property. 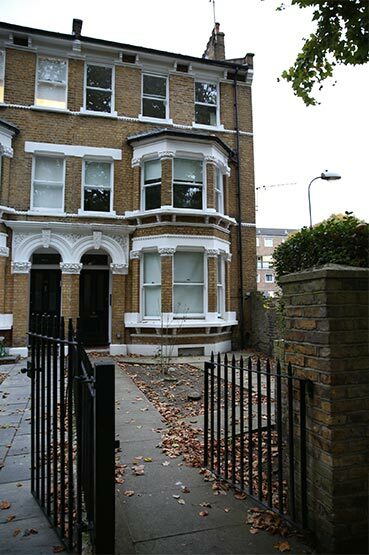 Global Guardians Management Ltd was established in 2011 to provide owners of vacant properties with the most cost-effective and minimum-risk security solution through property guardian protection. As vacant property protection specialists, we manage every aspect of the security of the building and take away the headache for property owners so they can utilise their time more productively. Since inception we have gone from strength to strength and are rightly regarded in the vacant property security and management industry as the most ethical and forward-thinking specialist organisation. As proof of this we have single-handedly developed the property guardian solution security service and led the market into new, pioneering areas in response to the varying requirements of owners of vacant properties. This includes our campaign to be the gold standard for property guardianship through the work we do with British Security Industry Association (BSIA), the development of the British Standard 8584:2015 for vacant property protection and our lobbying for the GLA to assist with the regulation of the property guardian market. Our mission is to provide excellent customer service that places both our clients and our guardians first. We realise that having happy clients and happy live-in guardians means well looked after and well protected properties. It is this synergy that makes us the best vacant property protection company available. This is what Global Guardians wants to be: the market leading property guardian company across Britain, then Europe, then worldwide. We want to be renowned for outstanding service delivery to property owners, property guardians and the local neighbours where we work. This is how Global Guardians will achieve this: consistently deliver superior property guardian services in the most efficient way for the benefit of our property guardians, property owners, staff, contractors and the local communities where we operate. Safety and security first - Global Guardians never compromises on the health and safety of our property guardians, staff, contractors and the local communities. We ensure the security of empty buildings as our highest priority. Service delivery - we strive to earn continued loyalty of property guardians, property owners, staff, contractors and local communities by openness, transparency and consistently demonstrating our superior quality, service, value and innovation. People development, diversity and inclusion - we adhere to the principles of diversity and inclusion and strive to create a work environment that provides opportunities and support for our staff to develop, learn and succeed. Sustainable growth - we plan the growth of our company 12 months in advance in order to implement infrastructure to accommodate. This leads to disciplined and sustainable growth. Accountability - We take responsibility for our actions and looks to use our resources efficiently in order to make a positive contribution to our property guardians, property owners, staff, contractors and local communities where we operate. Teamwork - We work together as a team to solve problems, encourage one another, value expertise, individuality and positive contributions of all staff members to pursue the best course to protect empty buildings. Integrity - We set very high ethical and professional standards at all times. Our business ethos is centred upon honesty, transparency, respect, openness and fairness. Our reputation is essential and we do not compromise our professionalism and integrity. Safety - Safety is at the very core of what we do when protecting empty buildings. Customers - Property guardians and property owners are at the heart of our business. Happy staff and happy property guardians = well managed properties = happy property owners. Our first challenge is to improve upon our position of the market leading property guardian company across Britain and to establish our services across Europe. We have created a five year plan to achieve Europe-wide success. We have a 10-15 year plan to establish our services worldwide in every country where property guardianship is a viable alternative to traditional empty security methods. We have a long-term project for our company and are always looking for new staff members, contractors, property guardians and property owners to join us on our journey.